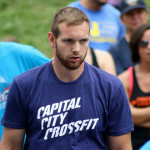 “CrossFit has been one of the greatest outlets I have had I my entire life. I have been a part of the C3 family since November of 2013 and I couldn’t have thought of a better place to be. I received my Level 1 certification in August of 2015 and have been coaching since then. I showed quite an interest in the Olympic Weightlifting movements from pretty early on trying to become more efficient with them. Once I received my Level 1, I decided that I would start learning how to teach the lifts to others since I was already coaching. Soon after I attended the USA Weightlifting: Sports and Performance Coaching course to receive my certification.